Do You Have to Claim Retirement Plan Monies on Federal Income Taxes? Some types of retirement withdrawals must be reported on your federal taxes. 2. Can I Rollover My 401(k) to a 529? 3. What Is a Tax-Sheltered Annuity Plan? If you withdraw funds from an individual retirement account (IRA) or employer-sponsored retirement plan, you may have to claim the money on your federal income tax return. The Internal Revenue Service allows tax deferral on certain types of contributions to encourage taxpayers to save for retirement. As long as you continue to roll your money over into another qualified plan or IRA, you will not have to pay taxes on your withdrawals and earnings. 401(k) plans, IRAs and 403(b) plans let you defer the taxes on the money you contribute to the plan. This reduces your taxable income for the year. For example, if you earned $50,000 during the tax year and contributed $5,000 to your company's 401(k) plan, you would only be taxed on $45,000. Any interest or dividend earnings are also not taxed as long as you leave the money in the plan. When you take a withdrawal, the entire amount of the withdrawal is taxable. Roth plans differ from standard deferred compensation plans because they are funded by contributions made after you have paid taxes on the income. If you contribute to a Roth IRA, you are not entitled to any tax deduction in the year of the contribution. Because the money has already been taxed before it is deposited to a Roth plan, you do not pay taxes when you withdraw. Earnings in Roth IRAs and 401(k) plans are not taxed upon withdrawal. However, the IRS still requires you to report these withdrawals on your tax return for recordkeeping purposes. Section 457 retirement plans are similar to 401(k) plans, but only employees of government and other tax-exempt organizations are eligible. The money you contribute to the plan and any interest you earn are not taxable. You only pay taxes when you withdraw money and do not roll it over to an IRA or other qualified retirement plan. Some 457 plans also have a Roth account option that allows you to contribute after-tax money after you have exceeded the limit for pre-tax contributions. Only the contributions you made to the Roth portion of the plan must be reported as taxable income. Disability pension payments are taxable until you reach the minimum retirement age required by the plan provisions. After retirement age, your disability payments are treated like pension annuity payments. Disability payments you receive due to injuries suffered in terrorist attacks against the United States are exempt from taxation. 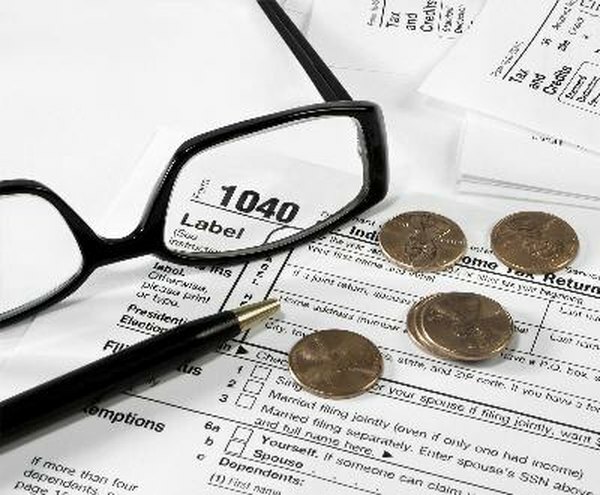 Do I Pay Taxes on the 403B Plan? Is a Pension Taxable at the Same Rate As Ordinary Income? Do You Have to Claim Income From 401(k) on a Tax Return?